The Newcastle United Blog | » Rafa Praises Club’s Crown Jewels – Can He Really Walk Away From Newcastle? Rafa Praises Club’s Crown Jewels – Can He Really Walk Away From Newcastle? 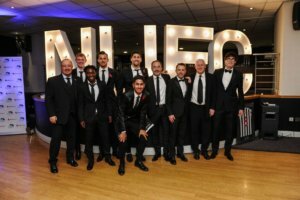 Rafa Benitez was at the Newcastle United Foundation’s 10 Year Anniversary Dinner earlier this week. The Foundation is something that Rafa has embraced with great passion since he arrived at Newcastle in March 2016, and it’s one of the crown jewels of the club. The dinner was a celebration of those supported by the Foundation which raises money to help various charities in the region. Benitez, his coaching staff and some of our players – Salomon Rondon, Ayoze Perez, Federico Fernandez, Martin Dubravka, and Sean Longstaff were all in attendance. We are big supporters of the Newcastle United Foundation and those leading the effort do a wonderful job and are often not acknowledged enough. And Rafa seems to love things in Newcastle and his relationship with the fans and the Foundation – and the City. For some, it’s a goldfish for others like Rafa Benitez the passion of the fans and the city for their football club seems like football heaven to him. Can he really walk away from Newcastle next June. I’m 99% certain Frank Clarke was right footed and would guide attackers inside and onto his right side. Being considered too old, he was freed and snapped up by Brian Clough go on and win a European Cup medal with Notts Forest. Too old? Southampton have announced a sacking – their vice chairman’s been shown the door and Mark Hughes reigns on. Now if Ashley would take similar action and sack himself we might stand a chance of kicking on. Unlikely though as Ashley doesn’t sack loyal employees! ‘But I like to be involved in everything and I like to have this feeling from the fans’ says Rafa. Message to Ashley – read that quote and learn from Rafa’s commitment to the club, the fans, the City and its people – you might just earn some respect! There’s only thee and me – has the bomb dropped or something? Yep, blog’s been quiet all morning. Rob1971, in all honesty I would expect that rumour to have disappeared quickly – if he was serious about a bid to buy, he would have to sign an NDA which would have the effect of making things go ‘dark’. On the other hand, if he had no interest at all I would hope he would come out and say so. Mark this down as ‘no news is good news’ for the time being. 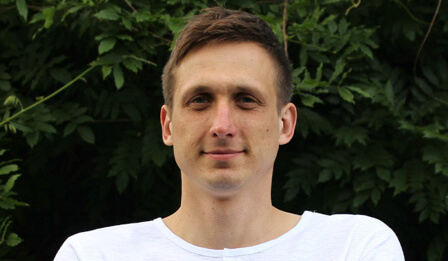 There’s also the fact that Chris Mort (connected to the Staveley bid this time last year) was at SJP a few weeks ago and the cryptic Dubai Micky hints, I reckon there are probably several bees orbiting our honey pot, without any firm commitment from any of them at this stage. That’s my ‘positive’ spin on things anyway…. From what I understand Kenyon was there for his own reasons, (he was rumoured to be making multi millions as an advisor for the Stavely bid). While he’d be a great CEO I guess, he’d need some proper money behind him. Speaking of loads of cash, when citeh were taken over Mansour paid £100m for them, and £50m in agents fees/commissions. Anyone else been watching the revelations via Der Spiegel? Nothing that EUFA will do anything about, it’s not in their business interests, imagine if they tried to come down hard on citeh and a Saudi backed Euro Super League (Saudi and UAE are key allies) was announced (discussions have taken place), citeh and their global fan base would be off from EUFA and where would that leave them? Certainly not at the top table of world football any longer. I do hope one morning we read on Ed’s headline, Ashley sells Newcastle United. Then Ashley tells reporters he love the fans and the city of Newcastle and wants to work harder on his clothing empire, lardy dardy dar. Better than when I got the original millennium falcon, god I’m old. Day 5, no let up. Has the man even eaten. I looked up Mattia Destro, he has about one goal in three games stats, that puts him about 13 goals a season in the Prem if he live up to his current stats. Being around 27 that seems like the right age for the club, he is known as a quick striker and plays well of his team mates, the only way I feel this would work if we also have a number ten that can feed and assist him. Dmicky, I wish I would have kept it but like most kids who had one soon realized that it didn’t fly well when thrown out of the second floor bedroom of the house. c-dog, you, like me, have made at least one comment per day for the last 5 days. However, none of yours have been football related as you choose to b!tch and whinge like an old biddy. Do go find yourself a knitting circle and leave the football for those that understand it. You’ll be far happier and I daresay your contribution on here will not be missed. The only issue is with the one I had if I still had it in the box it would smell like an Evo-stick factory. Crazy thing is though, we or our parents, never thought to keep them in mint condition in sealed boxes cos they’d make 200x the cost in 40 years time. I used to have Action Men and Sherman tank/jeep etc. they took some grief i can tell you – and don’t get me started when they were introduced to the lasses’ next door collection of Sindy. Yep, Micky – this is the mistake we made. We all thought toys were meant for playing with, not just looking at…. I was hoping we might sign some quality in January but I believe we are looking at ‘Poundland’ priced players. Hopefully this is not the case. any small bits you share ????????? I will be in touch fella.